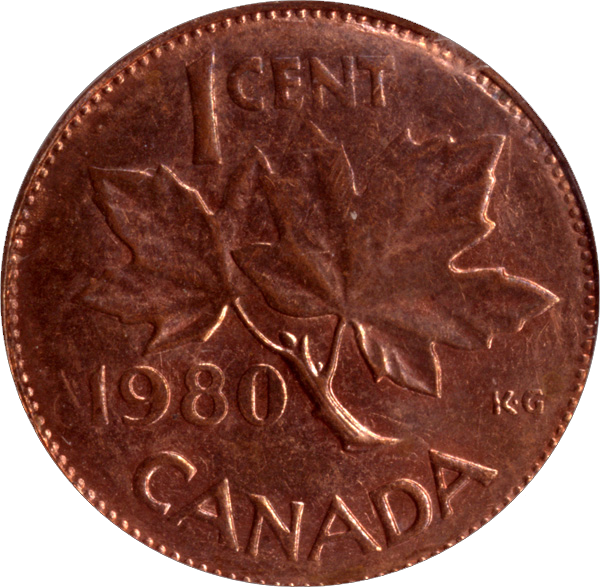 I discovered this extremely rare "Two Tailed" Canadian Cent in 2001. 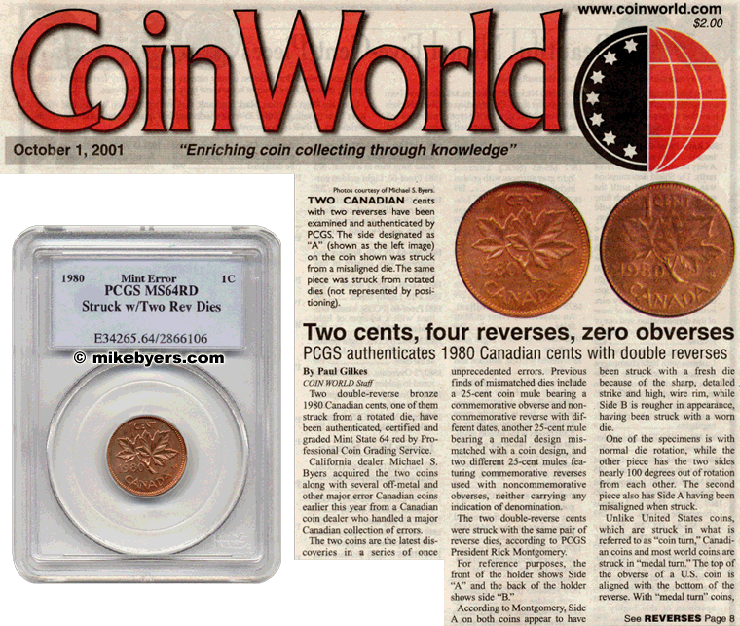 My discovery was featured in a front page Coin World article (shown below). I had purchased a small group of Canadian Major Mint Errors. I purchased these directly from a Canadian coin dealer who handled a major Canadian collection of error coins. 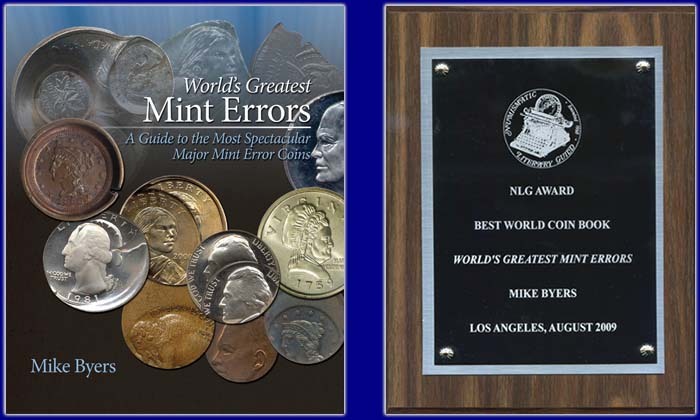 Several of the errors in the collection were off-metals and major error types. The most amazing Mint Errors in this collection were (2) "Two Tailed" 1980 Canadian Cents. 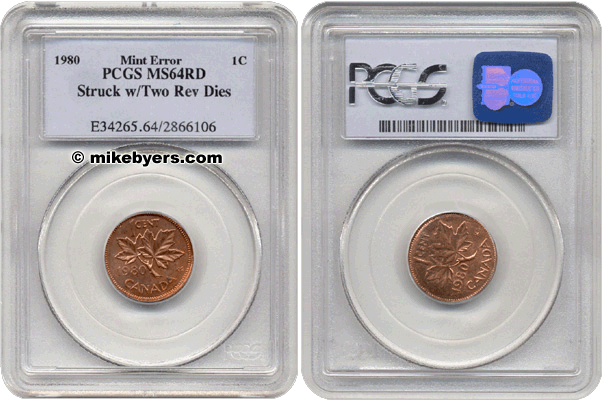 Both of these were authenticated, certified and graded Mint State 64 Red by PCGS. Both of these "Two Tailed" coins were struck with two reverse dies. For reference purposes, the front of the holder shows side "A". The back of the holder shows side "B". The reverse die on side "A" is slightly misaligned and has an extremely high wire rim. The reverse die on side "B" is rotated approximately 100 degrees. 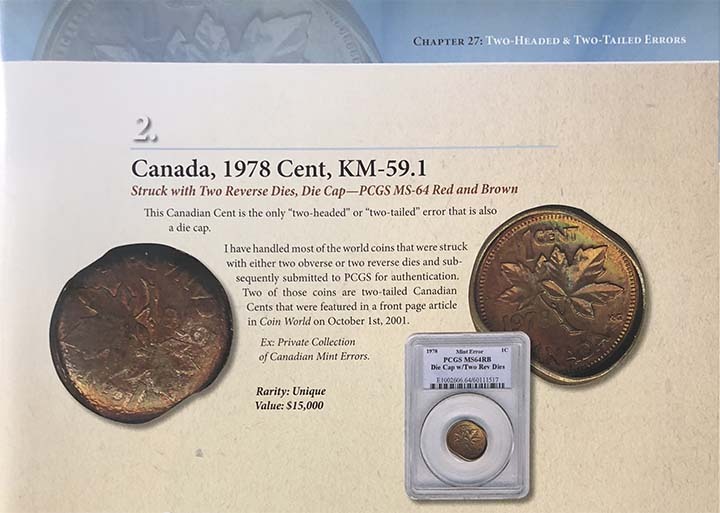 Although there are genuine "Two Headed" or "Two Tailed" coins that have been authenticated by ANACS, PCGS or NGC, two-headed and two-tailed coins from Canada and the U.S. are extremely rare. 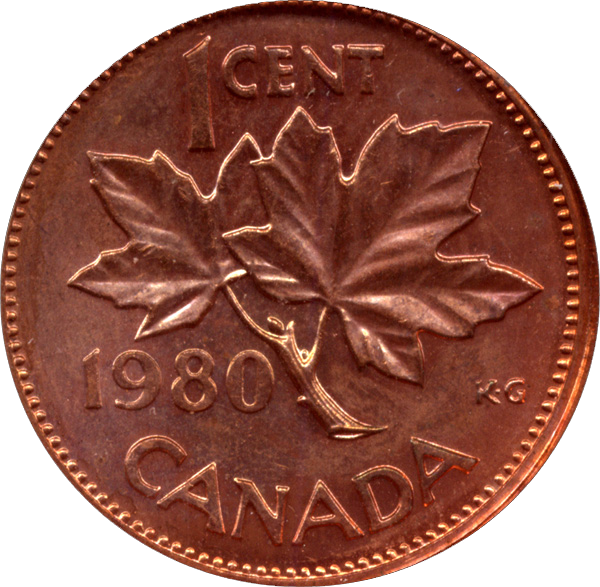 It is amazing that there are only a few known two-tailed U.S. and Candian coins. Recently, a two-tailed U.S. quarter sold for $80,000 and a two-tailed U.S. dime sold for $45,000.